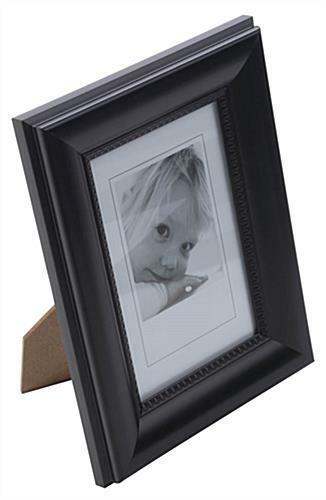 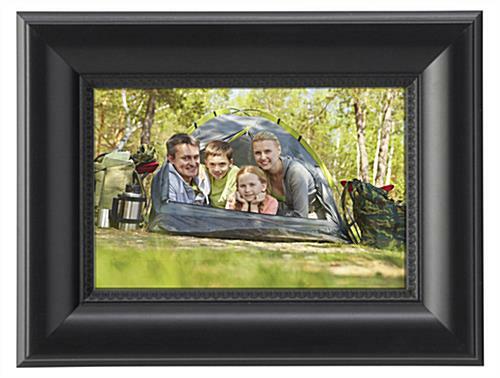 This cheap black picture frame features lightweight plastic construction with an elegant design to complement 4" x 6" photos, advertisements, or messaging. 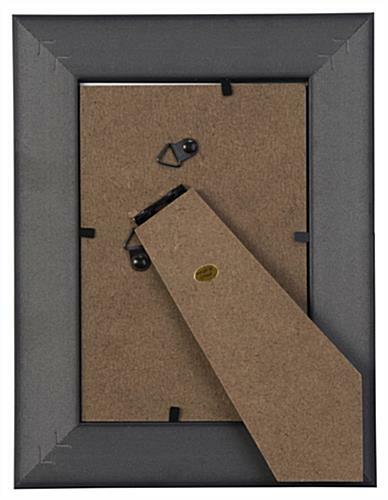 Each wall or counter mount fixture includes both a two-way easel backer as well as mounting hooks for hanging in high traffic professional, retail, or commercial environments. 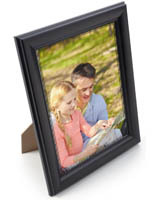 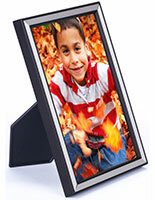 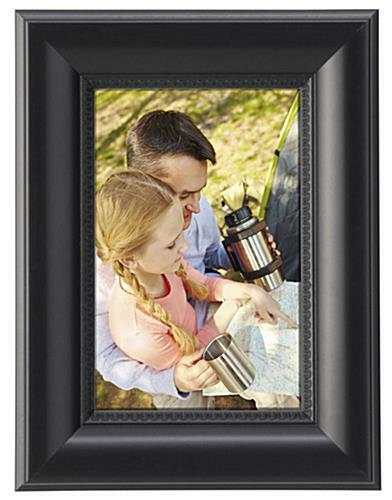 This 4x6 black picture frame can be used with portrait and landscape orientation graphics. 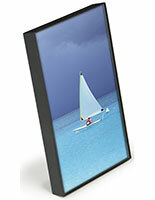 This lightweight plastic photo display is an ideal choice for counter, desktop, or point-of-sale advertising. 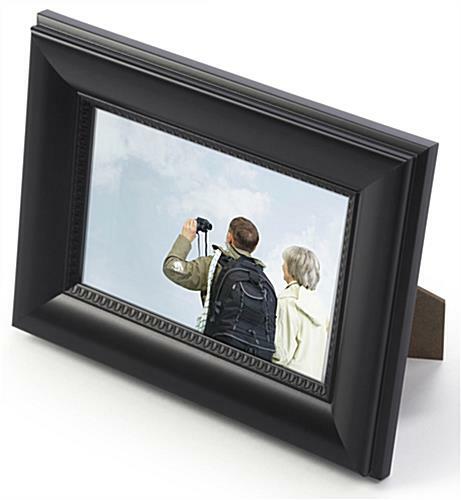 This black plastic picture frame features ornamental trim as well as a real glass protective lens. 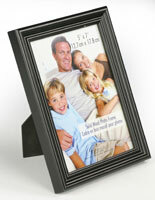 This economical counter or wall graphics holder is a great choice for retail and commercial environments. 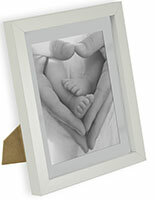 32.0" x 8.5" x 0.75"